Indian Army is the first responder in ant natural calamities in the country. Army is called out regularly for flood relief all over the country. Indian Army has removed bodies buried under the rubble of earthquakes at Latur and Dharchula and landslides at Kedar Nath and other places in the Kumaon Hills. Army coped with determination in the aftermath of the South East Asian Tsunami in December 2004. Our jawans have risked their lives in cyclonic storms in Orissa and Andhra Pradesh to bring succour to the suffering countrymen. Army has often provided essential services during strikes, has taken medical aid to remote corners of the country, has braved epidemics and plagues. He has quelled communal disturbances and riots. In the past, it has not been uncommon to find the Country coming to a stop due to a strike in some vital sector of the economy or the other. Trade unions in the railways, oil sector, transportation sector etc. have held the Nation hostage bringing the economy to a grinding halt. In all such emergencies, it is the military with its limited resources which has come forward to run the essential services and keep the wheels of economy moving. Operation Sadbhavana. The Army continues to play a critical role in bringing peace to regions where misguided youth choose to take up arms against the nation. This onerous responsibility has been undertaken by the army with utmost responsibility and maturity. Not only have many areas been rid of violence and fear of terrorism, succour has also been provided by undertaking extensive public support programmes like Operation Sadbhavana and Operation Samaritan. 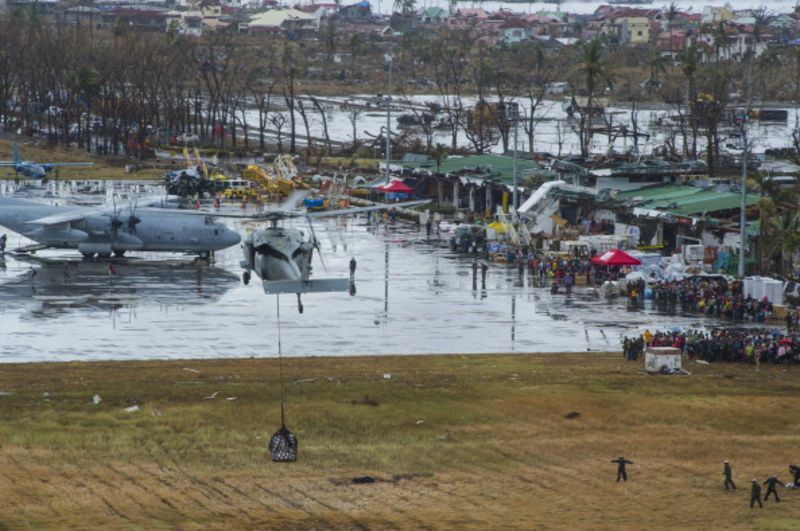 From building of roads, schools, public health facilities, vocational facilities, schools, sporting facilities and provisioning essential supplies, the army has been at the forefront of nation building in these troubled areas. Border Roads Organisation (BRO). The army has also been at the forefront of helping build the country through developmental initiatives. Amongst some of the most important contributions to the task of nation building, has been the untiring efforts of the Border Roads Organisation (BRO) in connecting the far flung areas of the country with the national mainstream. Areas which were considered distant and desolate are very much a part of the network of roads created by BRO. Working in the most difficult and harshest of conditions, the efforts put in by these dedicated men of the BRO have linked the hearts of the people of the country through thousands of kilometers of roads paved and maintained despite life threatening conditions. Peering into the future, the task ahead is colossal and requires a great deal of focus, resources and disciplined manpower to execute this humongous task that shall shape the infrastructure in the remotest and inaccessible parts of the country. Territorial Army(TA). The Territorial Army has contributed immensely to the task of nation building through the years. These battalions have assisted in securing vital interests in threatened regions. They have undertaken re forestation initiatives and have transformed large swathes of land which had been ravaged by natural and man made disasters. The home and hearth battalions have been at the forefront of soldiering in some of the most sensitive areas of the country. They have not only fought against difficult military odds, but have also provided a helping hand to the local administration, helping bring peace and stability in their areas of responsibility. The concept of Ecological Task Force (ETF) was first initiated by the Indian government in 1980 to undertake ecological restoration work in terrains rendered difficult either due to remote location, severe degradation or risky law-and-order situations. The other important objective of this project was to promote and provide meaningful employment to local ex-servicemen in the Territorial Army. Set up in 1982, the Territorial Army’s Ecological Task Force (ETF) is the world’s first ecological battalion. From saving deforested hills from desertification to transforming abandoned mines into lush green forests, the ETF has done it all! The spectacular successes of the ETFs in the Shivalik hills and the Thar desert prompted the other State Governments to partner with the central government and establish similar battalions in other ecologically degraded parts of the country like Jammu and Kashmir, Delhi, Himachal Pradesh, Assam etc. At present, India has eight ETF battalions (of nearly 1,000 men each) are located at Dehradun, Shri Mohangarh, Delhi, Samba, Kufri, Pithoragarh, Sonitpur and Kokrajhar. In the last three decades, ETF battalions have planted and cared for over 6 crore saplings and covered more than 70000 hectares of land, with a 70-80% survival rate. This is a significant contribution, especially when this has been achieved in areas with inhospitable terrain, harsh weather and the ever-looming threat of insurgent attacks.At a time when military in the developed countries have just started taking an interest in climate change mitigation, the Indian Army has set an outstanding example for others to emulate. It’s time we acknowledged these unsung foot soldiers and their role in ensuring that our country remains clean and green. National Cadet Corps (NCC). A more visible manifestation of the army’s nation-building role is the National Cadet Corps. It is engaged in grooming the youth, imbibing in them the qualities of discipline, selfless service and the spirit of nationalism. All the ideals that shape our forces are instilled in the young minds to develop their character, through qualities like comradeship, discipline, leadership, secular outlook, spirit of adventure and ideals of selfless service. This shall shape the value system of the future generations and hence has a direct bearing on the moral quotient of the nation building effort. Ex-Serviceman (ESM). The ex-serviceman’s qualitative contribution to civilian life, by way of invigorating its culture and character and their quantitative contribution especially to rural economy is something which has not been assessed so far. But significant though this contribution is, it is only a very small part of the contribution they can make to national economy if their services are utilized in agriculture and industry in an organized manner. This highly disciplined and patriotic human resource should be utilised in the capacity building efforts of the nation in various spheres through a focussed approach to employable training and other vocational skillsets that can be leveraged for the nation building effort. There is also immense scope in deploying this manpower in playing an integral role in the harmonising of efforts of Government, NGOs and CSR activities towards improving the quantitative and qualitative deliverables at the ground level. The Indian Army, with at least 13 million troops, discharges some 50,000 trained soldiers back to the hinterland. These men bring with them a national outlook, skills that the army taught them, and the secular world view they have experienced during their stint in the forces. This resource if properly harnessed, can make a significant contribution to nation building. The benefit that the armed forces give to the community is the pool of disciplined, well-trained young men and women. Thousands of ex-servicemen have returned to their native villages and started entrepreneurial ventures leveraging their competencies. Defence Industrial Base. We need the best capabilities and latest technology for our Army. India started with nearly no capability of indigenised capacities and yet we were confronted with conflict at the outset of our journey as an independent country. As a country we created a capability through our Defence Public Sector Undertakings(DPSU) and Ordnance Factories. We have thirty nine Ordnance factories and nine DPSUs. The Defence Research Development Organisation (DRDO) brought about the scientific support. There are fifty two research labs carrying out R&D on weapon systems ranging from armaments, aeronautics, combat engineering, electronics, missiles, materials and life sciences. Permeation of technology is not constrained by ownership and spreads its reach to all areas of human endeavour. Spin off effect of this process towards many aspects of nation building has been immense. Most technologies that were designed for warfare have extensive non-military use. The Internet, nuclear power, space programmes, deep oceanic mapping and transcontinental communications are just some of the examples. Looking ahead the trends are obvious that the Defence Industrial base would be further strengthened with wider participation by the vibrant private sector enterprise of the nation.. Our indigenous efforts have indeed yielded results in increasing the nation’s self-reliance but there is a case to do much more by harmonising the efforts of all the stake holders. India’s DPSUs employ an approximate work force of 2,00,000. Ordnance Factories also employ huge number of people. India’s target to increase the contribution of manufacturing sector to 25% of GDP, would get a big boost with greater number of defence projects being given to indigenous defence industry under Buy (Indian- IDDM), “Make” and Buy and Make (India) categories. It is also estimated that it will give boost to employment opportunities with both direct and indirect jobs. In next five years, as per Boston Consulting group there is a scope of creation of 1 million jobs within next five years with approx 0.5 million indirect jobs. Nasscom Deloitte study on contrary suggests that in a high technology sector for every one direct job created in defence sector, there would be 4 x indirect jobs created in sectors supporting defence sector. The defence procurement and the offset policy is another example of how our defence expenditure can contribute to nation-building. The current defence budget has a procurement component of Rs54,800 crore, which will be used to purchase state-of-the-art equipment. Around 70% of this is in the form of imports. The procurement policy lays down the provision of “offsets”, which essentially mandates that the seller of the armament has to buy or provision up to 50% of the cost of the weapon platform from Indian manufacturers. This ensures that a sizeable percentage of money spent on defence procurement is ploughed back into the economy. The offset structure also incentivizes collaboration with Indian partners to indigenize substantial parts of the equipment to fulfil the offset obligation, thereby facilitating technology transfer into Indian industries. Global firms are expected to channelize up to $20 billion in 10 years into India. This creates very interesting opportunities. Our defence budget also consists of regular revenue expenditure in the form of salaries, allowances and sustenance costs of maintaining an army. Food has to be bought, roads have to be built, vehicles need to ply and the agricultural produce of several thousand villages goes to maintaining garrisons stationed all over the country. An entire ecosystem thrives on maintaining and mobilizing the defence forces. Cantonment towns are examples of cities which have been fuelled by defence establishments that literally created them. Referring here to the October 2016 note issued by MOD that equated the status of a 2-star rank officer of the armed services to that of Principal Director in MOD, with repercussions down the line. That this decision to thus downgrade Major Generals/Air Vice Marshals/Rear Admirals was taken by Manohar Parrikar’s well into his tenure as defence minister suggests he was not paying attention. Or, alternatively, was happy to be led by the nose by the ICS/IAS-wallahs who ever since 1947, after getting a reprieve from prime minister Nehru who once seriously considered dismantling the colonial-era ICS and starting anew, have relentlessly upped their relative status and benefits at the expense not just of the military services but also other, even technical, All India Services. Lost under the growing headlines related to the North Korean nuclear program, America’s permanent war in Afghanistan continues its aimless drift. Effectively hidden from public view, the war remorselessly chews up American service members and tens of billions of dollars in national treasure, while no longer contributing to U.S. security. The latest developments serve to deepen the futility. Gen. Joseph Votel, commander of the U.S. Central Command (CENTCOM), said the introduction of additional U.S. troops and more relaxed rules of engagement authorized by President Trump would help to “focus on offensive operations,” and help Afghan troops, “gain the initiative very quickly” as fighting enters 2018. One must wonder, however, how long Congress and the American people will continue believing these unrealistic, “victory is just around the corner” declarations from its senior commanders. Islamabad has always sought outside support to pay for its foreign and defence policy, tying itself in knots to secure funding. A Pakistan that can fund itself would be better for both the country and its partners. Even before Donald Trump’s latest evisceration of Islamabad’s record as an ally, the US–Pakistan relationship was famously rocky. Previous US presidents have made similar threats – and as now, Pakistan has responded by threatening to cosy up further with China. Many in the country would welcome such a break, glad to be rid of what they see as a servile relationship with the US. 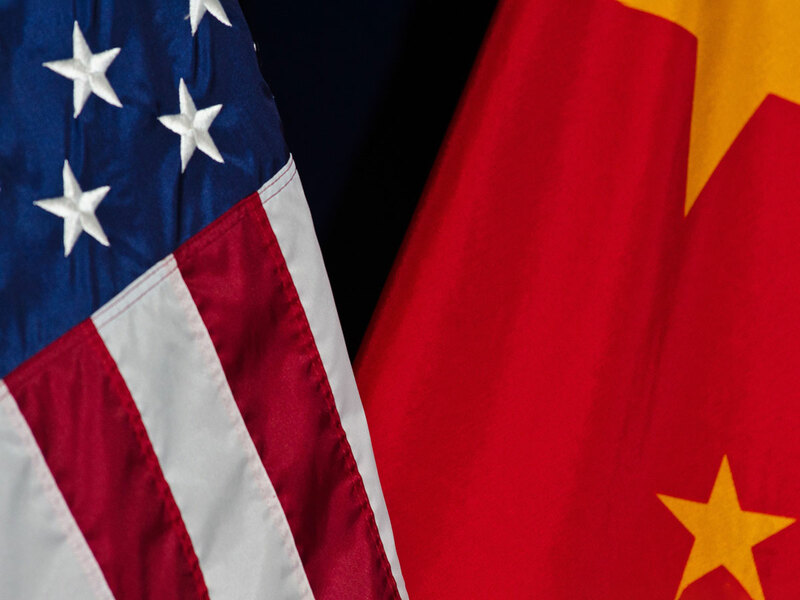 For Tyler Jost, the Trump administration’s recently released National Security Strategy represents a tectonic shift in US foreign policy towards China. This is not just because the strategy strikes a markedly more confrontational and pessimistic tone towards Beijing, it’s also as it shifts the fundamental logic about why China poses a threat to the US. So will the new strategy produce meaningful results? For instance, could it help the US deter China from promoting its model of authoritarian governance? Jost has his doubts. To deflect attention from its continuing dam-building frenzy and its refusal to enter into a water-sharing treaty with any neighbour, China has bragged about its hydrological-data sharing accords. Yet it showed in 2017 that it can breach these accords at will. The denial of hydrological data to India actually underscores how China is using transboundary water as a tool of coercive diplomacy. Almost four decades after the toppling of Shah Mohammad Reza Pahlavi, a revolutionary ideology continues to underpin the Iranian state. As the years have passed, the relevance of its governing philosophy risks being lost on the country's younger generations, and the internal and external challenges to its government continue to mount. The recent spate of demonstrations that quickly spread across the country highlighted one of the revolutionary state's largest shortcomings: It is a 40-year-old revolution that has not arrived at a sustainable economic model. As 2017 drew to a close, Russia’s political-military leadership staged various events and public discussions emphasizing some of the achievements of the year and outlining priorities for 2018. Few surprises came out of these reflections, with the overall defense priorities well established. Still, those meetings and President Vladimir Putin’s visit to the newly built Academy of the Strategic Rocket Forces in Balashikha, near Moscow, afforded opportunities to amplify the message that military modernization is progressing—as well as to remind various audiences of the potential dangers facing the Russian State. Indeed, progress was evident throughout the year in terms of the quantity and quality of the modernization, with the State Armaments Program to 2027 (Gosudarstvennaya Programma Vooruzheniya—GPV) being fine-tuned based on lessons from the conflicts in Ukraine and Syria (see EDM, April 25, 2017; December 12, 2017). Few if any Central Intelligence Agency critics can match John Prados’s credentials or his credibility. A prolific author and long-time associate of the National Security Archive, Prados has spent many years pursuing declassification of CIA documents and then putting that material in the historical record. In The Ghosts of Langley, which follows several earlier works on CIA-related subjects, Prados revisits a series of troubling episodes spanning more than six decades of CIA history, from its clumsy and ineffective efforts to support resistance behind the Iron Curtain in the 1950s to the black prisons and torture scandals of the “war on terror” era. Many people today don’t remember George Marshall, but in the middle of the 20th century he was inescapable. 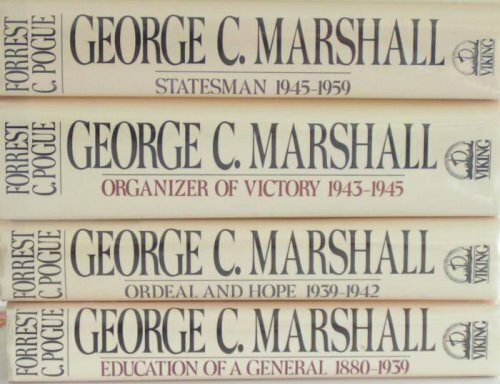 A five-star general who later won the Nobel Peace Prize, Marshall was once described by President Harry S. Truman as the greatest soldier in American history. Other world figures agreed, and after World War II, the British Prime Minister Winston Churchill called Marshall the true organizer of Allied victory. After his retirement from public life, Marshall turned down many lucrative offers for his memoirs. In 1956, the historian Forrest Pogue began a thirty-year project of researching and writing a massive four-volume biography of Marshall. In the first volume (Education of a General, 1880-1939), Pogue provides a small anecdote from Marshall’s early life. This story serves as a diagnostic for one important aspect of leadership. Leaders are usually thought to be self-starters, and this story can serve any potential leader as a way of measuring their own level of individual initiative. When the newest U.S. National Security Strategy was released last month, many intelligence, military and foreign-policy professionals considered it a pleasant surprise. It hits most of the mainstream concerns facing the U.S.: the significant challenges we face from China, Russia, North Korea and Iran; the necessity of better homeland security against terrorist attacks; the importance of working with allies, partners and friends; and the need to determine sensible levels of defense spending. I called it “shockingly normal” in a But it misses the mark in one particularly worrisome area: the threats related to climate change and global warming, which were all but ignored. Early reports indicate that a similar report expected to soon be released by the Pentagon, the National Defense Strategy, will make the same error of omission. Iran and Russia have made no secret of their mutual desire to sideline the United States in the Middle East. "Our cooperation can isolate America," Supreme Leader Ayatollah Ali Khamenei told Vladimir Putin during the Russian president's recent visit to Tehran. Mr Putin, for his part, has praised the Moscow-Tehran relationship as "very productive". Certainly the alliance has paid dividends in Syria, where the Moscow-Tehran military collaboration turned the tide of the war in favour of their mutual ally Bashar al-Assad and compelled the United States to abandon its goal of forcing Mr Assad from power. 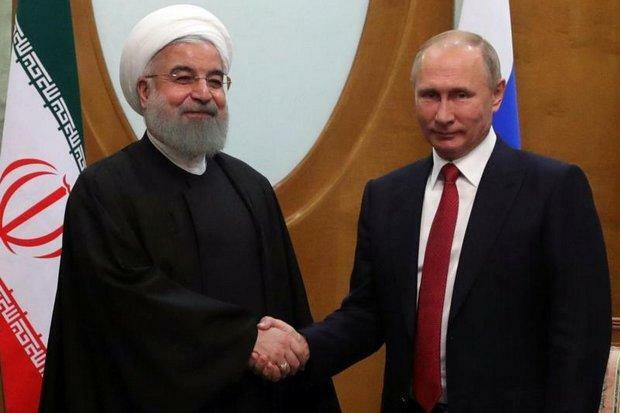 Nevertheless, while Washington should certainly be wary of the Russian-Iranian relationship, it is less a strategic alliance than a marriage of convenience -- and one whose cracks are already showing. According to the Pew Research Center, the reason for the burgeoning Muslim population was twofold — a high rate of immigration and a high fertility rate. Muslims are on course to become the second largest religious group in the US by 2040, a study by Pew Research Center has suggested. Analysing studies they conducted in 2007, 2011 and 2017 with annual data from US Census, Pew concluded that the Muslim population is growing at an accelerated rate and will rise from an estimated 3.45 million in 2017 to an estimated 8.1 million in 2050, CNN reported. First time I met with President Trump, we disagreed on three things in my first 40 minutes with him. This is not a man who’s immune to being persuaded if he thinks you’ve got an argument.” - Secretary of Defense James Mattis, August 2017 As we enter a second year of U.S. foreign policy under the current administration, sometimes it’s hard to separate the signal from the noise. Is there a guide for the perplexed? 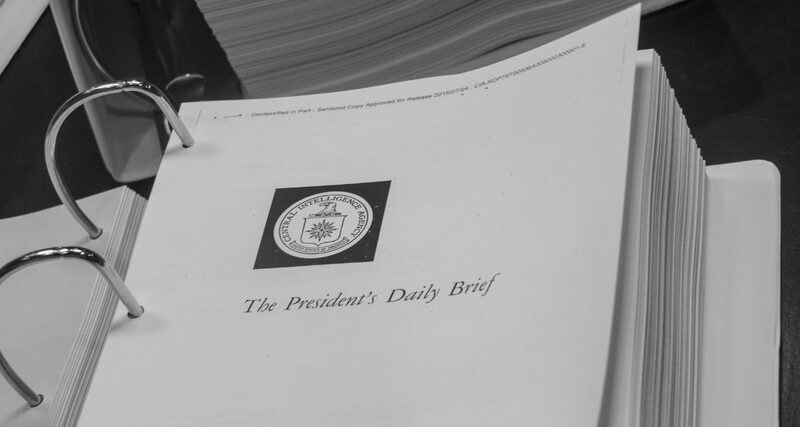 The new National Security Strategy (NSS), designed to clarify the administration’s foreign-policy concerns and objectives, may be one useful starting point. Its release received largely positive reviews. Even many of the administration’s opponents conceded that national security adviser H. R. McMaster and his staff—led in this instance by Nadia Schadlow, deputy assistant to the president for national security strategy—did good work in crafting a serious and perceptive document ahead of schedule. 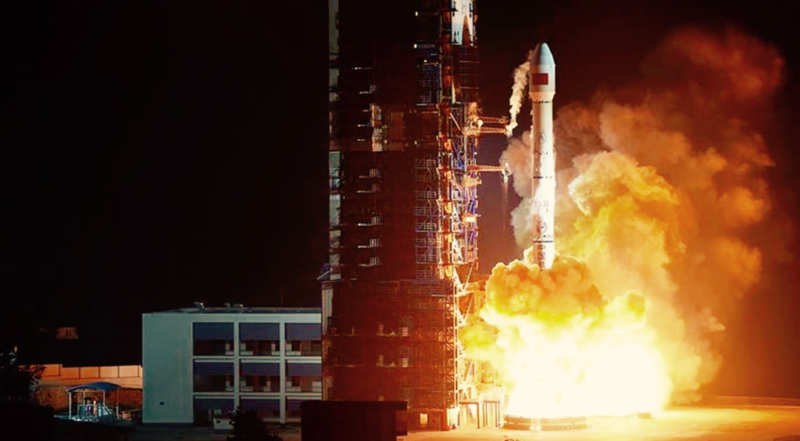 It should be no surprise that China is moving to challenge the United States for dominance in space, cyber, artificial intelligence and other key technologies that have wide national security applications. But the question that is still being debated is whether the United States is taking this threat seriously. This may not be a Sputnik moment, but the United States could soon be unpleasantly surprised as China continues to shore up its domestic capacity to produce high-end weapons, satellites and encryption technologies, a panel of analysts told the House Armed Services emerging threats and capabilities subcommittee. At a time, when cryptocurrency is the latest rage in the financial world, it seems like Reliance Jio is the latest to join the bandwagon. According to aLiveMint report, Mukesh Ambani's Jio is planning its own cryptocurrency called JioCoin. 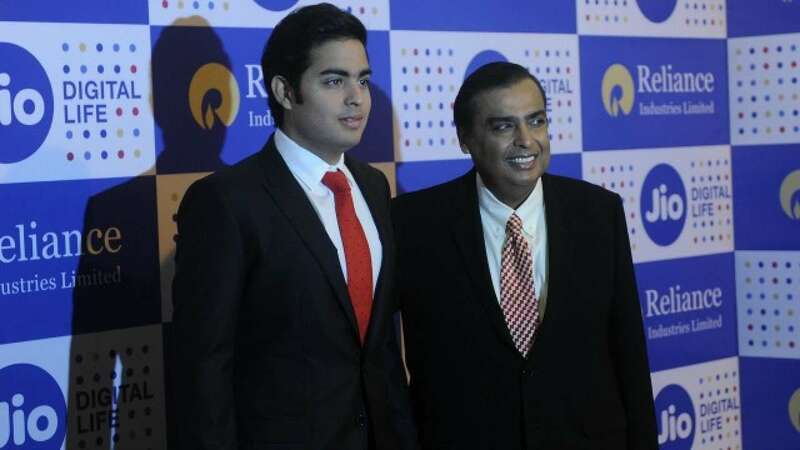 The report claims that Mukesh Ambani's elder son Akash is leading the project. The primary goal is to work on blockchain technology. Blockchain is one of the latest tech of storing data in a secured encrypted form. How secure is your printer from cyber attacks? Today, cybercrime has grown to become a financially driven industry, costing organizations globally a whopping $445 billion.In the last year, large data breaches have driven the demand for heavily reliable security devices to the highest point. In fact, no organization is exceptionally immune to cyberattacks, and as digital technology rapidly transforms, security faces a tough time in keeping up. A study conducted by PwC in 2016 indicated that cybercrime remains to be the second most reported economic crime. Acknowledging this significant issue is a first step towards protecting an organization’s security landscape. Sailors assigned to Navy Cyber Defense Operations Command monitor, analyze, detect and respond to unauthorized activity within U.S. Navy information systems and computer networks. NCDOC is responsible for around the clock protection of the Navy's computer networks, with more than 700,000 users worldwide. In November, the Navy’s Cyber Mission Force teams reached a key staffing milestone nearly a year ahead of schedule. The next step? Ensuring those teams sustain a high degree of readiness that allows them to deploy anywhere, anytime. Ships often get overlooked when it comes to advances in transportation technology. How will shipping change in the coming years, and what trends can we look to for guidance on the future of shipping? Soldiers from 2nd Brigade, 1st Armored Division drive a vehicle equipped with Warfighter Information Network-Tactical Increment 2 during the Armys Network Integration Evaluation 13.1 on Nov. 9, 2012. (Katie Cain/Network Integration Evaluation) The Army is holding its first industry day focused on its tactical network as part of a new Army-wide construct to help the service modernize and improve its systems procurement process. The Army announced the establishment of a new Modernization Command with cross-functional teams that align with the service’s six modernization priorities: Long-Range Precision Fires, next-generation combat vehicle, Future Vertical Lift, the network, air-and-missile defense, and soldier lethality. Why is H.R. McMaster so alarmed by North Korea? Why does Donald Trump’s national-security adviser insist—more vigorously than any administration official except the president himself—that Kim Jong Un must be denied the capability to place a nuclear warhead on a missile that can reach the United States, even if this requires initiating a military conflict with the North that could devolve into a cataclysmic war?